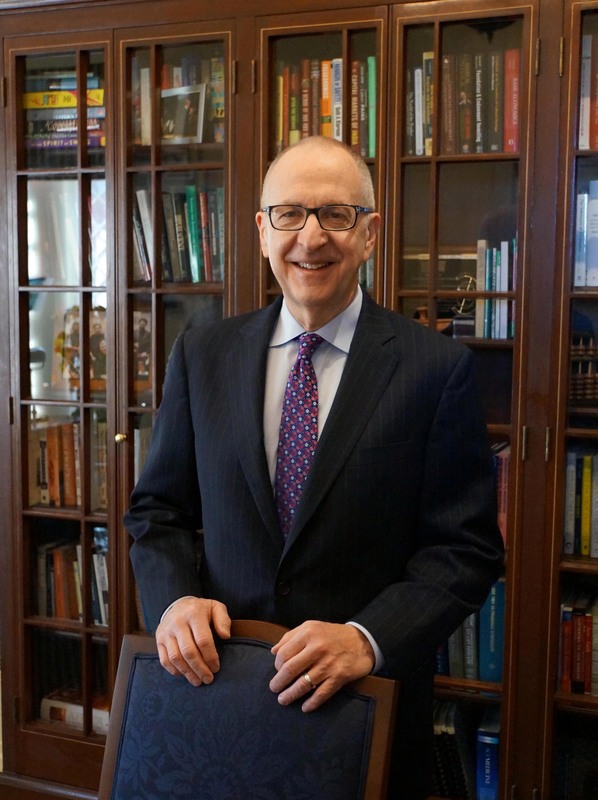 Dr. David Skorton is the 13th Secretary of the Smithsonian. He assumed his position July 1, 2015. As Secretary, Skorton oversees 19 museums and galleries, 20 libraries, the National Zoo and numerous education and research centers, including the Smithsonian Astrophysics Observatory, the Smithsonian Tropical Research Institute, the Smithsonian Environmental Research Center and the Smithsonian Science Education Center. He is responsible for an annual budget of $1.3 billion, 6,500 employees, 6,300 volunteers and 8,500 digital volunteers. Under Skorton’s leadership, a new strategic plan has been developed with a focus on convening critical conversations about topics of vital public interest. An example of this was the first-of-its-kind Earth Optimism Summit on Earth Day weekend 2017, which brought together scientists, thought leaders, conservationists and students to share conservation and sustainability solutions that have worked and can work on a larger scale. The strategic plan also calls for increased outreach and attention to the relevance and impact of the Smithsonian’s activities. Since Skorton took the helm more than two years ago, the Smithsonian has exceeded its national campaign goal of $1.5 billion; opened the National Museum of African American History and Culture, a must-see destination for Washington visitors; and elevated the arts to a priority along with scientific, historical and cultural research and programs. Educational efforts, both onsite and through digital technology, have accelerated since Skorton’s arrival. Skorton, a board-certified cardiologist, previously was the president of Cornell University, a position he held from July 2006 until 2015. He was also a professor in the Departments of Medicine and Pediatrics at Weill Cornell Medical College in New York City and in Cornell’s Department of Biomedical Engineering at the College of Engineering. His research focus is congenital heart disease and cardiac imaging and image processing. Skorton is the first physician to lead the Smithsonian.